1948 was the last year of the UL motor. But it was also the first year for the wishbone frame. This same frame was also used on the '48 Panhead, so it's a rare, one-year only frame that commands a significant price. It also makes the '48 UL Sidevalve a particularly desirable model and one of the most charming of all Big Twins. 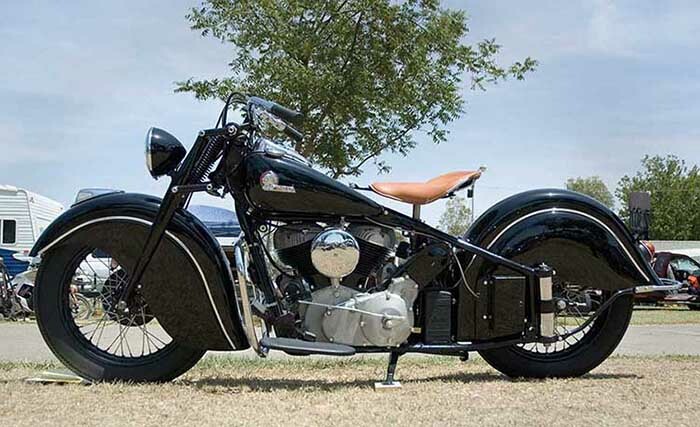 And although the '48 UL can be viewed as the culmination of the antique-era, it was the 1936 Knucklehead that established the pattern for all modern bike designs, 1936 to the present. 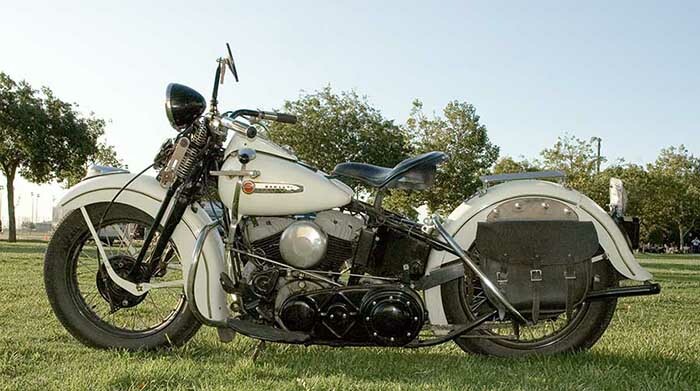 In 1936, Harley made a splash with its first Overhead Valve production bike, the Knucklehead. The splash was quite literal--the bikes provided overhead oiling to open rocker assemblies but without a scavenging system. Consequently, oil spray soiled bike and rider. A factory fix was conceived to provide enclosure, but production models with the update lagged. Regardless, demand for the new and powerful OHV was strong, so the Factory obliged with quick releases. This sort of pragmatism would be thematic for the Factory. And there exists a design mosaic and production logic that serve as historical markers for owners, builders, and vintage parts dealers. As a product, the Harley-Davidson has been a survivor. It is also historically, culturally, and functionally, the most distinct motorcycle brand in history. Lots of vintage iron at Hanford (2007). The Indian above is representative of the bikes that are generally on hand at this annual event. 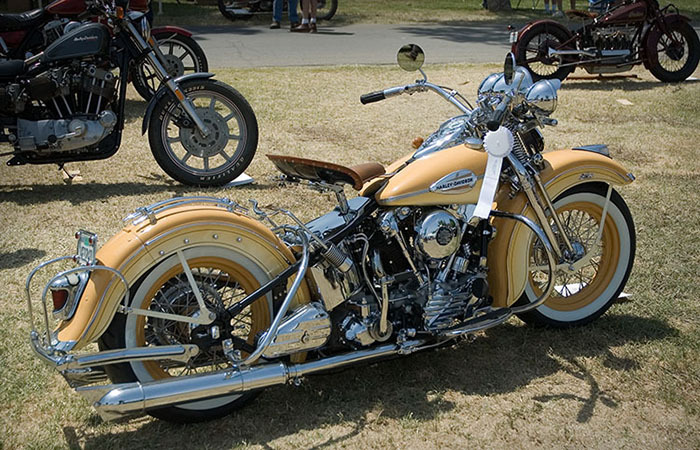 At present, the Hanford Swapmeet and Bike Show is owned and run by Classic Cycle Events, and information can be obtained by visiting their web site at www.ClassicCycleEvents.com.